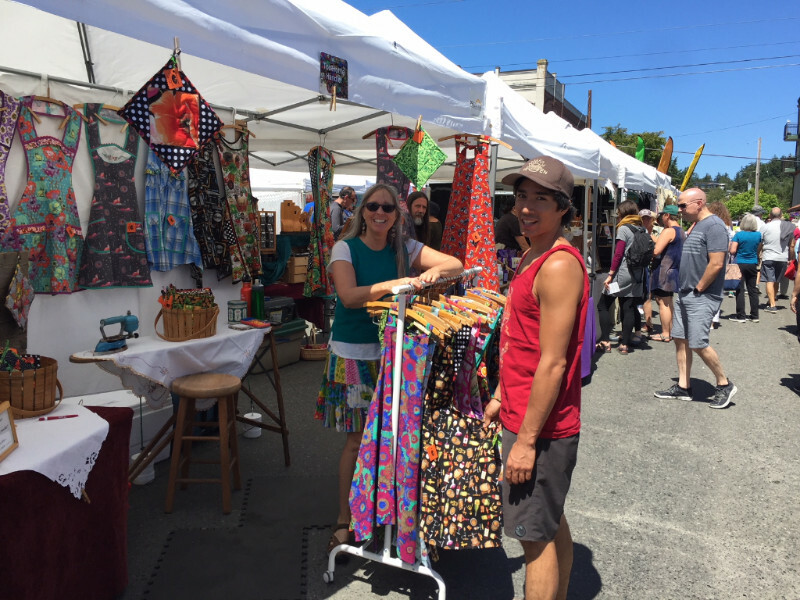 April 7, 9am-2pm, Tyler St.
Spring has sprung and Market season has begun! 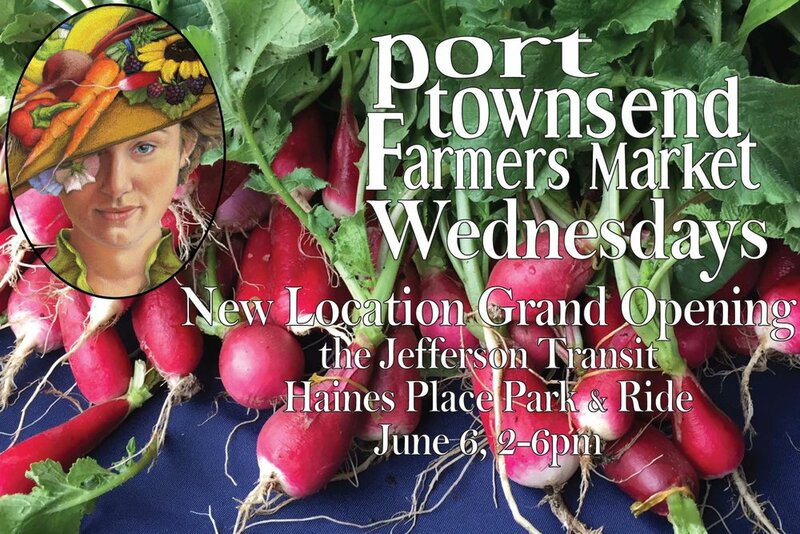 The Port Townsend Farmers Market opens this Saturday! Join us from 9am-2pm uptown on Tyler Street to celebrate our 26th season. More than 60 farm, artisan food and arts vendors will be at market this weekend with farm-direct, fresh spring salad greens, kale rabb, purple sprouting broccoli, other mixed vegetables, plant starts, pasture raised meat and eggs, shellfish, fish, fresh and aged cow and goat cheese, cider, wine, artisan prepared food, as well as arts and crafts. Come to Market at 9am for the opening ceremony and goat parade. Serendipity Farm welcomes spring, our customers, our market friends, and fellow farmers back to the Farmers Market. We are starting off the season with fresh greens, salad mix, leeks and Jerusalem artichokes. We will also have parsnips, a fresh new batch of salad dressing (please return the bottles you have been saving all winter for a discount), our pesto, yayas energy bars, eggs, perennial plants, veggie starts, herb starts, reusable produce bags (made on the farm), spring bouquets, and good cheer. We look forward to seeing all of you again. 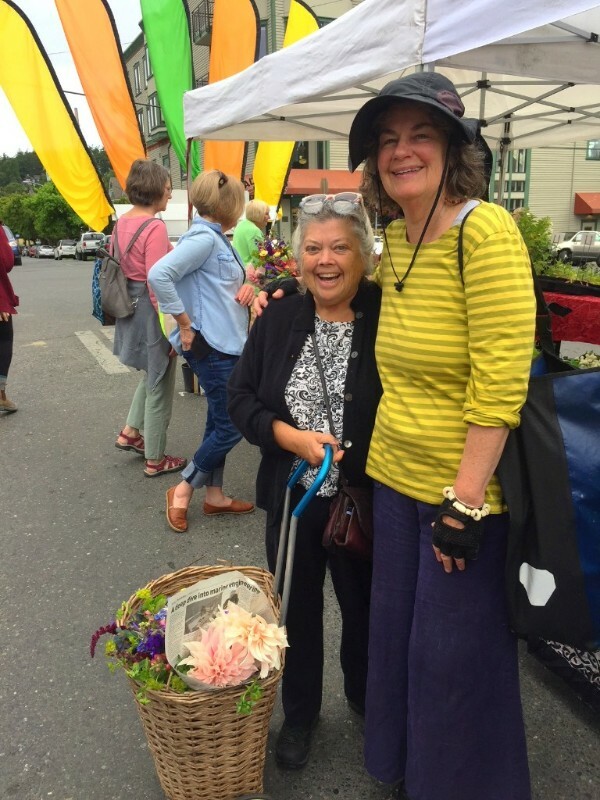 Midori Farm will be at market with a small amount of fresh veggies, an abundance of organic garden seedlings, as well as lots of sauerkrauts and kimchis. 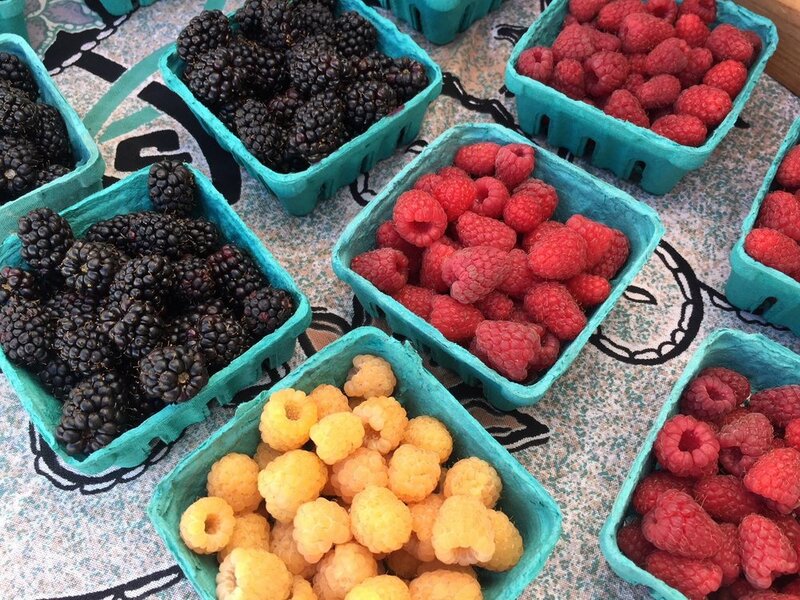 It’s Farmer’s Market Again! Mountain Spirit is offering a springtime discount of 50% off on selected massage and body oils. Look for our plant sales coming in the next few weeks and make sure to check out our flyer about our new uptown consulting office. 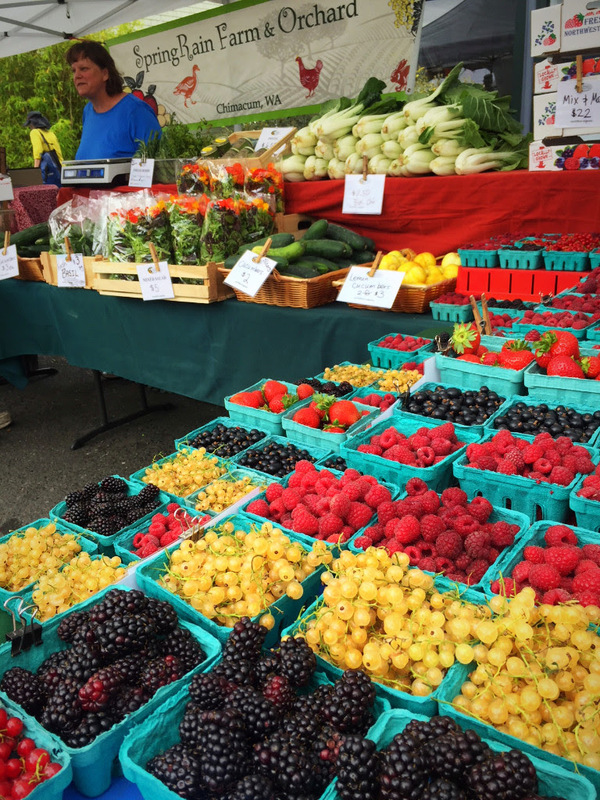 At SpringRain Farm, we are excited to be back at the market! We have a special treat for folks--fresh, organic, pasture-raised duck. We decided to take advantage of the warm spring and raise a super early batch of wonderfully fat and tasty ducks. We will also have a lot of delicious eggs with us; despite the industrial complex's best efforts to hide it from you, eggs are a seasonal product. Since the days are getting longer, we have lots of chicken and duck eggs ready for you to pick up and enjoy. Now is the time for frittatas and omelettes to take advantage of the seasonal bounty. Finally, we will have lots of microgreens and mixed salad greens for your spring tonic. Finnriver Cidery is excited for market season and pleased to share our Spring botanical cider, Honey Meadow, featuring Sequim honey and local herbs and roots— including organic chamomile, Midori Farm burdock root, as well as Finnriver dandelion root and lemon balm. An earthy, Spring tonic to share with some Mystery Bay Chèvre and a local green salad! Our seasonal ciders for 2018 have been artfully updated with paintings by Anna Daeuble and design work by Sarah Peller. Spring at Mystery Bay Farm means fresh chèvre, fresh ricotta, fresh yogurt and fresh cajeta! This is our 10th Spring! Come celebrate with us, and a few of our goats, this Saturday. New vendor, Johnson & Gunstone Shellfish will have a variety of fresh, locally harvested clams and oysters for sale every week from our 5th generation family farm. 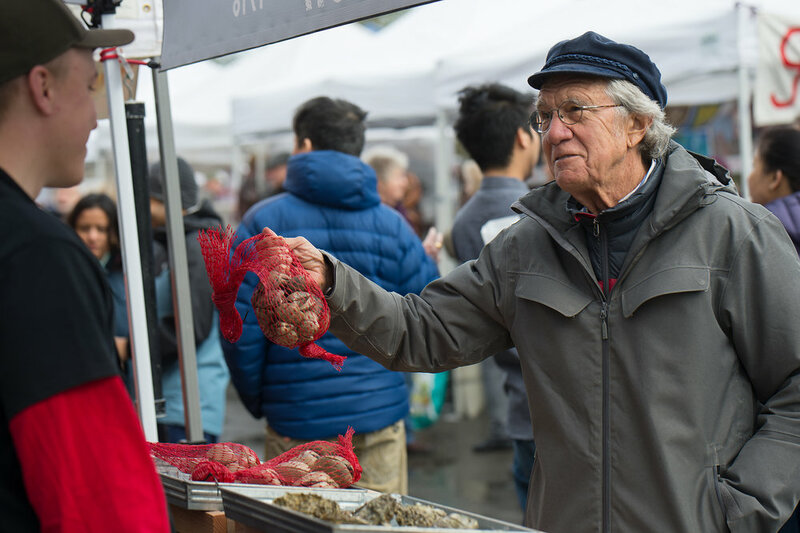 The varieties will change slightly from week to week, and may eventually include other types of shellfish such as Dungeness crab, mussels, geoducks, etc. We will also have oyster shucking knives and hand-crafted shucking boards for sale. Additionally, we will have heat and water-resistant packaging with gel ice available for customer transport. We look forward to providing Port Townsend with delicious, local seafood! 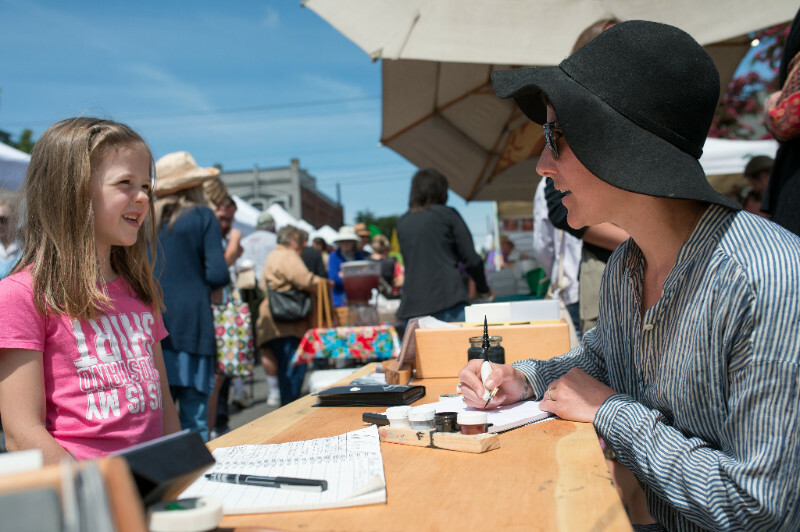 Poet calligrapher Lindsey Wayland will be delivering calligraphy at the Port Townsend Farmers Market this year. Her mission is to connect you to your community via the written word. She believes a letter is the most generous gift you can give someone and that handwriting and letters are very important to cultivate as our world becomes more and more high tech. Visit Lindsey to join her Community Supported Letters. Members receive a seasonally-curated box of beautiful letter-writing supplies. Order a hand-calligraphed letter with a vintage stamp. Watch her calligraph letter orders; the art of calligraphy is mesmerizing as the ink flows. While at market, ask Lindsey about her upcoming classes or purchase custom stationery. Red Dog Farm is so excited to be back at market and to see everyone again! We are bringing our favorite spring goodies, including tulips, salad mix, carrots, potatoes, raab and plant starts. Hope to see you Saturday! One Straw Ranch is looking forward to another great market season! Quail eggs are on special this week for $3.50 per dozen. Quail eggs are not only adorable, they're also tasty and nutritious! Boil them for 4 minutes and they're perfect for a chef salad made with the freshest local greens, cheese and salad dressing. 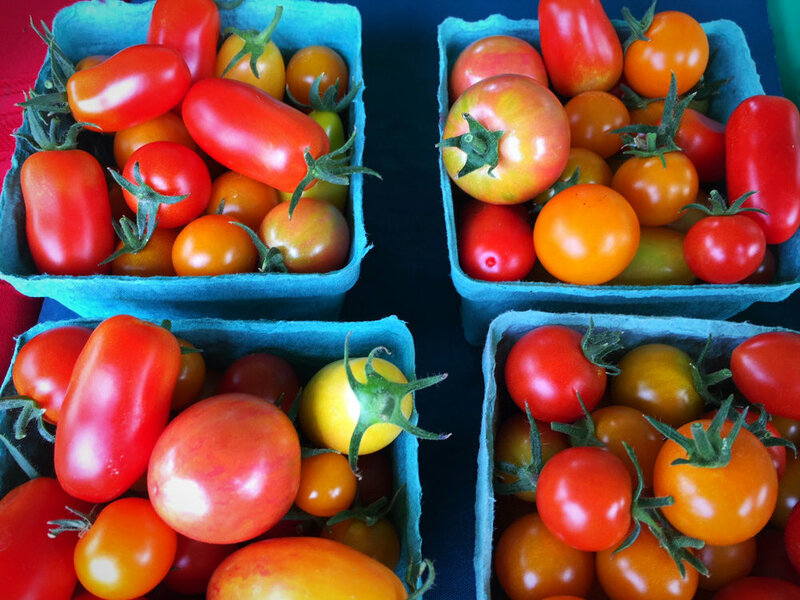 Pair with fresh bread and you have a quick tasty meal -- all available at the Port Townsend Farmers Market! We are also fully stocked with pork, lamb and beef. Perhaps you'll want to pick up a pack of bacon to fry up and crumble on the salad, too. 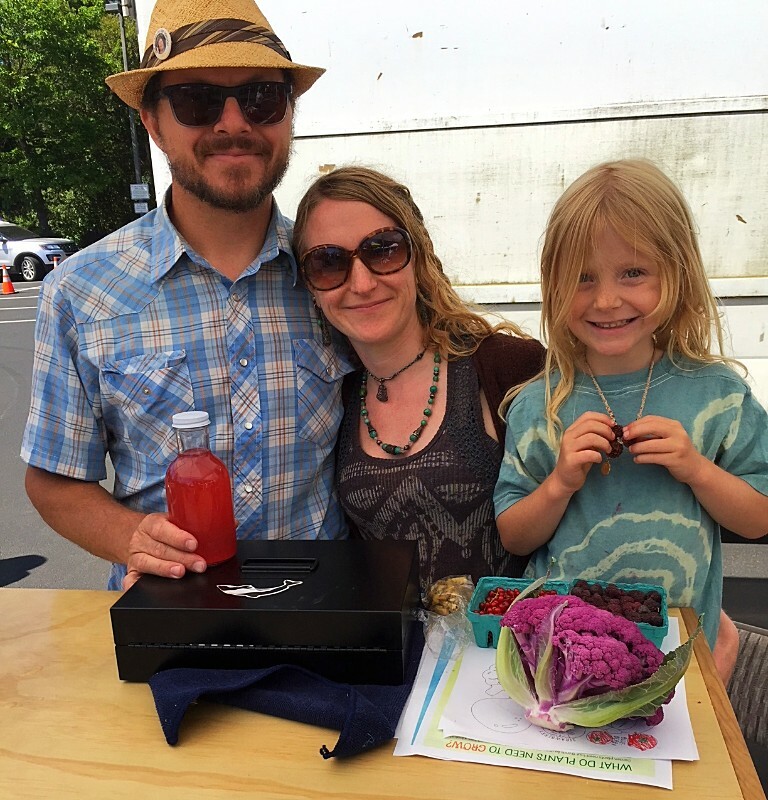 Max from Onatrue Farm will be back at market this season. As many of you know, Max has been battling cancer. He shares, " I am doing pretty good with two helpers planting instead of one. I am feeling stronger with each week that passes. Am I cancer free? I am in the process of testing. So far everything is looking great. I am very optimistic. 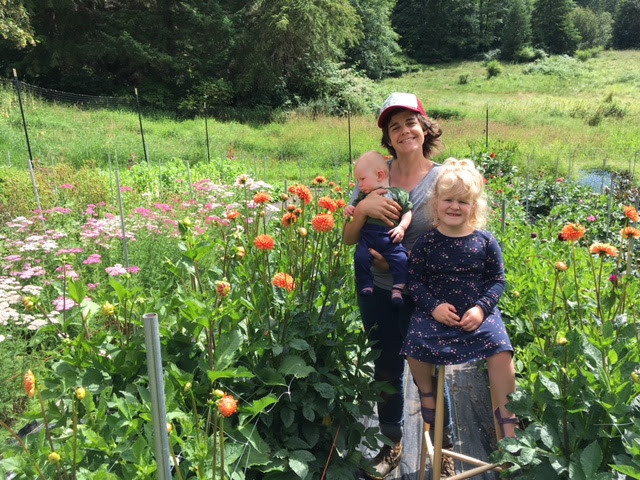 I have a big test (PET scan) in mid-April, which will be more conclusive as to whether or not I need additional treatment or if I can focus on farming." 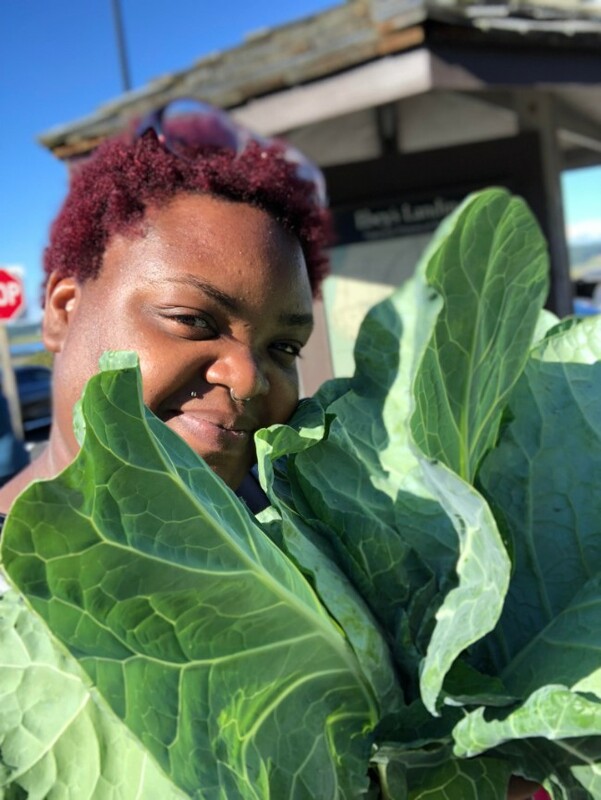 Max will have fresh dug, sweet overwintered carrots and heirloom Gilfeather turnips, a few heads of fresh-cut over wintered cabbage, plus bunches of kale, collards and mustard greens. He will also have red and white onions plus Dutch shallots, seed potatoes to plant in your own garden, and dry beans and lentils for planting, eating or both!